For years I have traded it with “May the cursor be with you”. Recently since I had a crash on PowerCLI and then on PowerShell, I started looking for good books on PowerCLI. The first one I found was dated 2011, so it was good, but not good enough. Then I saw on twitter Robert van den Nieuwendijk was looking for reviewers for his new “Learning PowerCLI” book. This was right on for me and I got free access to the book copy for review, within few hours. I will be using it through my journey to get more intimate relations with our VMware operations. But I can say the quick “I need to” test came out with flying colors. I mean, you could read the book chapter by chapter, but you would also want to quickly find how to do something specific. In this case I was looking for Data Store latency information and within 5 minutes found the background materials as well as the specific commands. Having a trusted guide (Robert), I also took on his warm advise to finally look into the automated comprehensive vCheck Script as well as the PowerGUI tool and wonderful set of ready to use packs (more on this on a separate post). One word of caution – I would not use just any library pack offered there, before I take a look at the author and the scripts, and I always run them under a user with read-only permissions, preferring a quick test on a test environment first, just to quickly see it actually works. This resulted in a quick report I was able to construct within an hour, showing a possible savings of ~ $15,071. 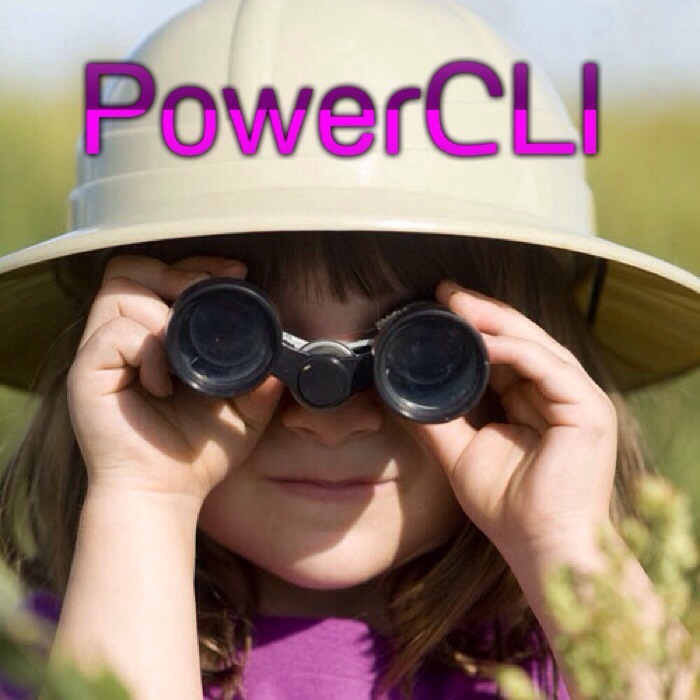 What are your favorite Power CLI resources? This entry was posted in Virtualization and tagged Automation, PowerCLI, PowerShell, Scripts, VMware on March 1, 2014 by jackbezalel.